The Elements Cavalli 45 mantel shelf is Earth-friendly and a unique addition to any dicor. Made from recycled pine pallets, it comes pre-finished and features knocks, dents, and nail holes for a genuine rustic feel. The easy mounting system allows installation in 30 minutes or less and all hardware is included. A modern addition to any space. Historic Mantels' Builder Series Estate Cast Stone Mantel has clean crisp lines which elegantly complements any contemporary room or home. In a home or condo where space is limited, it fits perfectly! Home offices, basements, townhouses, bedrooms, lofts, it can fit anywhere! Comes in 3 pieces, which can be cut to fit your space with a handsaw. Easy to install, and easy to enjoy. Cavalli Rustic 45 inch Mantel Shelf The Elements Cavalli 45 mantel shelf is Earth-friendly and a unique addition to any dicor. Made from recycled pine pallets, it comes pre-finished and features knocks, dents, and nail holes for a genuine rustic feel. The easy mounting system allows installation in 30 minutes or less and all hardware is included. 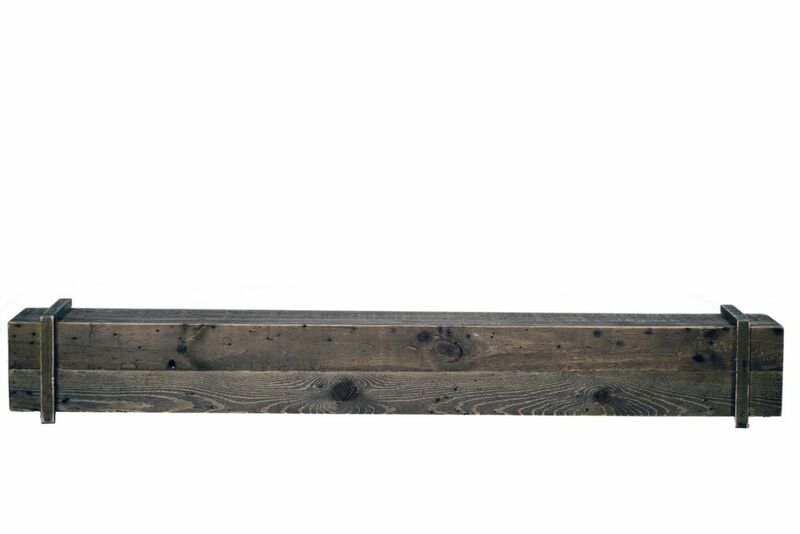 Cavalli Rustic 45 inch Mantel Shelf is rated 3.0 out of 5 by 4. Rated 2 out of 5 by Matt from Yo get what you pay for. I knew I wasn’t getting anything high end when spending $100 on a mantle. It serves its purpose for the project I did. My only complaint is the mounting bracket was extremely warped. It looked more like a C then a straight line. I managed to still make it work, got the mantle to sit level before I surrounded it with stone. Rated 4 out of 5 by Mkg1985 from Looks great. Much darker than pictures, but that ended up working to my advantage. Rated 1 out of 5 by Jason from Got the product and it was so warped that was no way to even hang it on the wall. Got the product and it was so warped that was no way to even hang it on the wall.